Médecins Sans Frontières (MSF) is an international, independent, medical humanitarian organization that delivers emergency aid to people affected by armed conflict, epidemics, natural disasters and exclusion from healthcare. MSF offers assistance to people based on need, irrespective of race, religion, gender or political affiliation. MSF is therefore guided by the principles of neutrality and impartiality. These principles must apply to all MSF staff. Implement general administrative procedures in order to ensure documentary traceability as well as compliance with local labour and fiscal regulations, under the HR Coordinator’s supervision. Minimum Educational Qualification: Desirable bachelor degree in Human Resources Management, Business Administration, or relevant university degree. Desirable experience of working in MSF or any other international NGO in humanitarian projects. Languages: English (fluent, oral & written). Swahili or French is an asset. Knowledge: Essential computer literacy (word, excel, and internet). Execute recruitment activities ensuring transparency and equity and issuing job offers conveniently in order to meet HR needs. Inform all the new staff on Staff Regulations, HR policies and regulations and/or living conditions in order to facilitate staff integration and their security. Execute, under the HR Coordinator supervision, employee contract related activities (file opening and formal documentation archiving, personal data updating, amendments, termination dates supervision, etc.) in order to ensure legal compliance. Present and explain contract terms and the content of Internal regulation (rights and obligations) to newly recruited personnel in order to ensure legal compliance and local integration. Supervise the payroll process, checking the list of employees and amounts payable (variable pay, taxes, social securities contributions, etc.) in order to ensure accuracy and on time payroll payment. Follow-up cost of living on a regular basis in order to update salary references conveniently to keep acquisition power. Register applicants to training activities and help the HR Coordinator to evaluate the results in order to improve return on training expenditures. Support the HR Coordinator to draw up annual holiday planning in order to schedule staff shifts and cover operational needs. Organizes travel and files of all Staff arriving/departing the Mission, including International Staff documentation (visas, MSF card, Mission Orders, etc. ), booking and purchasing plane tickets, keeping/renewing passports and organizing briefings/induction. Ensures staff traveling through the capital is picked up, has appropriate papers and a place to stay. All interested persons shall submit their CV, motivation letter, a copy of relevant professional certificates and a telephone number by 26th November 2018. 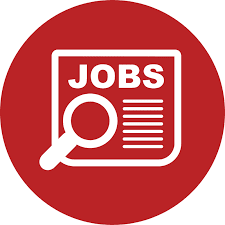 Please quote the job title on the email subject “HR COORDINATOR ASSISTANT” and send to email address MSFCH-Tanzania-Recruitment@geneva.msf.org or. The applications can also be submitted at MSF offices situated at Hamza Aziz Street, Kahama Court, Masaki, Dar es Salaam OR in Nduta Camp, Kibondo District.